Kids love candy! But, trick-or-treats and chocolate sweets do not love teeth. Nearly 40% of kids have cavities before they reach kindergarten, and some sugar-loving kids will continue to get cavities even as the adult teeth come in. This doesn’t have to happen with proper dental care. But in the case that it does, fillings can restore a damaged tooth back to its normal shape and function. A filling is a hard, tooth-colored polymer resin or amalgam used to restore teeth affected by decay. Tooth decay creates cavities, and cavities can cause a lot of discomfort. 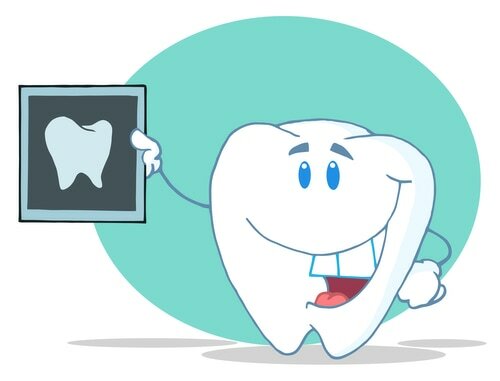 Tooth decay happens when the bacteria that is naturally in the mouth (plaque) eats away at the teeth. Bacteria loves sugar, so candy gives bacteria the food it needs to produce a strong acid that eats into the enamel and the inner structure of the tooth. With frequent brushing and flossing, plaque is destroyed. However, lots of sugar and infrequent dental hygiene can cause plaque to eat a hole in your tooth. These holes are cavities, and the body cannot repair them on its own. Before fillings ever existed, cavities became so painful that people would opt to have the entire tooth removed just to end the discomfort. Luckily, modern dentistry allows patients to avoid such extreme measures. Fillings are a great way to seal the tooth so that the sensitivity and pain ceases, but should not be used as a replacement for dental hygiene. When the cavities strike, fillings can save the day. Dentists can restore a tooth with an amalgam filling or a composite resin filling. An amalgam filling is silver in color and can be made up of materials such as silver, tin, copper, zinc, and a small amount of mercury. Composite resin fillings are tooth-colored and are made up of small pieces of silica surrounded by a plastic resin. Most people prefer composite resin fillings because they blend in with the natural shade and texture of a tooth. However, amalgam fillings have been in use for over 180 years. Studies have shown that amalgam is a safe, tried and true material, despite the small amount of mercury present within amalgam fillings. The mercury that is inside amalgam fillings is sealed inside when the filling hardens, making it safe for patients. Composite fillings are newer in dentistry, but they are always improving. After the decayed part of the tooth is removed, composite fillings are applied one layer at a time. Each layer is hardened using a special light. When the process is complete, the dentists will shape the filling to fit the tooth and bite. Finally, the surface of the filling is polished so that your new filling blends in naturally with your other teeth. Amalgam fillings are stronger than composite resin fillings and are recommended for the back teeth since that is where most force is applied. Composite resin fillings wear down faster and are more expensive than amalgam fillings. Unfortunately, amalgam fillings are very noticeable whereas composite resin fillings are practically unseen. If you have a cavity on a visible front tooth, the composite resin is recommended over the amalgam for aesthetic appeal.